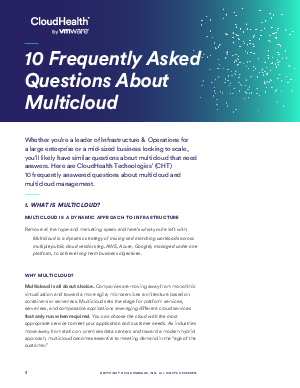 Whether you’re a leader of Infrastructure & Operations for a large enterprise or a mid-sized business looking to scale, you’ll likely have similar questions about multicloud that need answers. What’s the difference between hybrid cloud and multicloud? What are the top benefits and challenges of multicloud? What is the value proposition of multicloud management? What is a multicloud strategy? Download this free eBook today to get started on your multicloud management journey.